*En cliquant sur Ouvrir le compte démo, vous acceptez nos Conditions . Switching to Dukascopy Bank has never been easier! Now traders can access SWFX Swiss Marketplace via the MetaTrader 4 platform and combine the security of Swiss Bank with the convenience of using platform they are familliar with. Dukascopy offers fully automated and reliable transmission of orders through the MetaTrader 4 environment to your trading account. The volume commission rate is determined dynamically and depends on Net Deposit, Equity and Traded Volume according to Dukascopy's Fee Schedule. In addition to the standard fees, $1 per 1 MT4 lot ($10 per $1 million) is charged for trading on MetaTrader 4 platform. MetaTrader 4 is a well-known trading platform, appreciated by many traders around the world. No need for third party bridges anymore, now you can use a direct connection to SWFX Swiss Marketplace provided by Dukascopy. 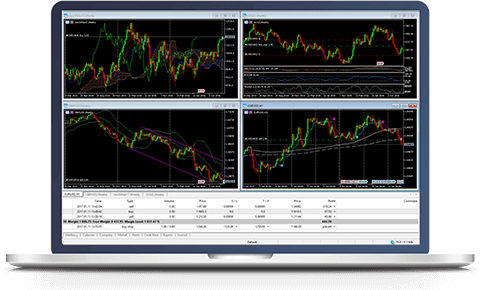 If you have never used MT4 before, you may also consider using our proprietary platform JForex 3 (platform comparison). Les employés de Dukascopy travaillent 24h/24 afin d'assurer que le processus en ligne d'ouverture de compte et de vérification soit aussi rapide que possible. Une fois le contrat en ligne signé, vous pouvez financer votre compte par transfert bancaire ou par carte de débit/crédit. 80% de comptes d’investisseurs de détail perdent de l’argent lors de la négociation de CFD avec ce fournisseur.